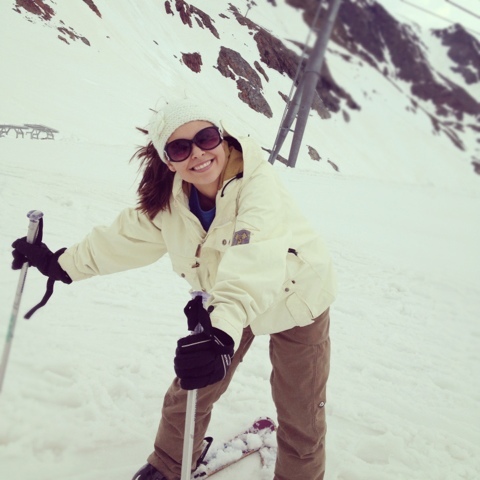 Learning to ski in the Alps...Check! Ah today was absolutely amazing. I decided to branch out and learn to ski for my extreme Austrian sport. It seemed a little more laid back than the other sports and that is perfectly fine with me. Plus never experiencing more than a foot of snow in my life made today even more exciting. I really liked that I went with a group I hadn't really had a chance to hangout with yet. Most of the others had never been skiing either, so it was good we all got to learn together. After the group got sized and fitted for our ski gear we made our way up the alps. 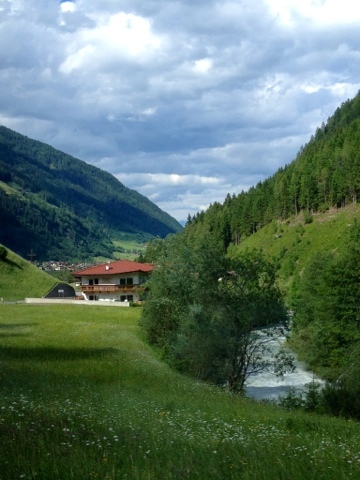 The roads were really curvy but filled with amazing scenery and sights of Austria. There were rushing rivers, fields of cows, cute little towns, and trees that touched the sky. We were all wondering where the snow was...everything was just so green. It was hard to believe that a snowy mountain would be our final destination. Finally a bus ride and two ski lifts later, we made it up the mountain. Who would have known that just on the other side of Narnia was a winter wonderland! The snowy mountains and hills were incredible. Never in my life have I seen so much white. As silly as it sounds, I felt like I was on top of the world. Some of the group complained about the skiing price, but the view of the alps was completely worth it. Our ski instructor, Karsten, showed us the ski basics and taught us on the flat snowy surface. Skiing was definitely not as easy as I thought. My entire body was getting an intense workout. There were times I was literally digging myself in a little snow hole trying to move around. I thought we would just slide around on top of the snow...I was wrong. Some of the group was getting antsy and wanted to go down the big hills. At this point I was exhausted and needed a lunch break. When we went up to the ski lodge we were greeted by a group of drunk Bavarian ski instructors. They had just passed their certificated exams so they were definitely in celebration mode. It was funny to hear them all singing German drinking songs and getting crazy at 1pm. They made it clear that Bavarians know how to have a good time. Once lunch finished up, Karsten said we were ready to take the baby hills. The hills were so much easier than the flats. I could actually slide around and get some speed. 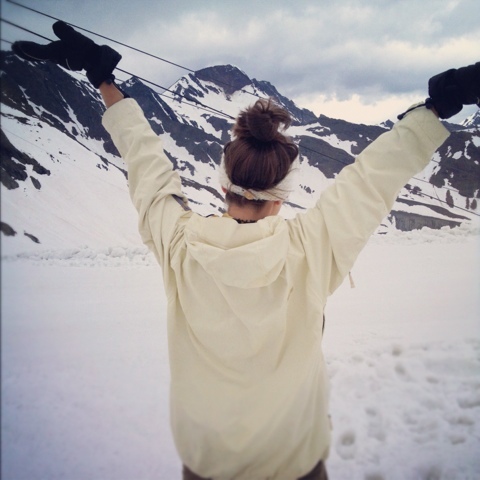 All of us did that for awhile till the ski lift closed and then it was snow photo shoot time. We were able to get some great shots of the mountain. 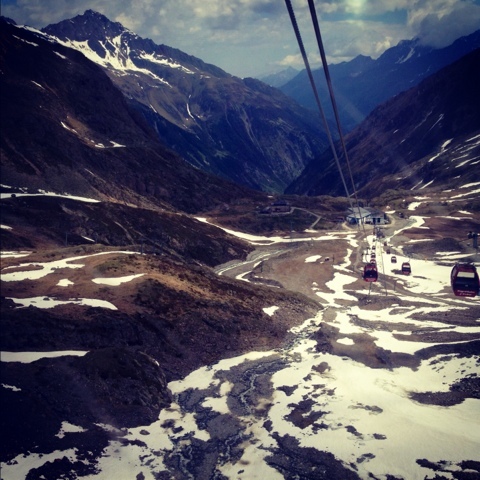 It was so much fun and I am glad I decided to spend my day here in the Alps. Right now my body is completely exhausted and sore...workout of the trip complete.